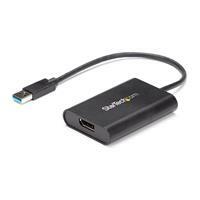 This USB to DisplayPort adapter lets you connect your computer to a 4K DisplayPort monitor using a USB 3.0 Type-A port, even if your computer doesn’t support 4K video. This USB to DP adapter can boost your productivity by providing more screen space to work with. Having multiple displays gives you the freedom to access two full-screen applications simultaneously, enabling you to reference material on one display while composing on another. The adapter even supports display rotation for a vertical screen that’s ideal for viewing spreadsheets, newsfeeds or stock tickers. 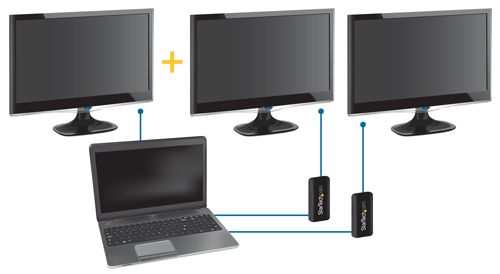 The multi-monitor adapter is powered by your computer's USB Type-A port, so you won’t need to connect a bulky external power adapter. Plus, the drivers install quickly and easily and only need to be installed once, regardless of how many USB video adapters you want to connect. 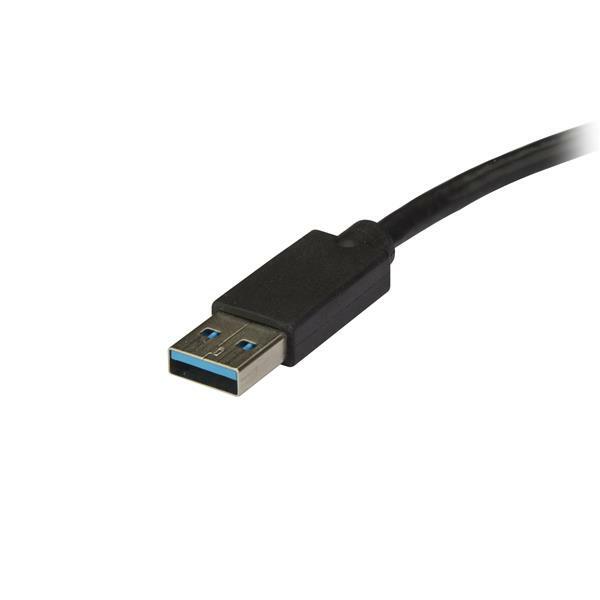 Even if your system doesn’t natively support 4K video output, this USB video adapter lets you enjoy the picture quality of Ultra HD video. With support for 4K at 30Hz, you get sharp and crisp picture quality that’s richer and more true-to-life than traditional HD, with far greater detail in both darker and brighter images. 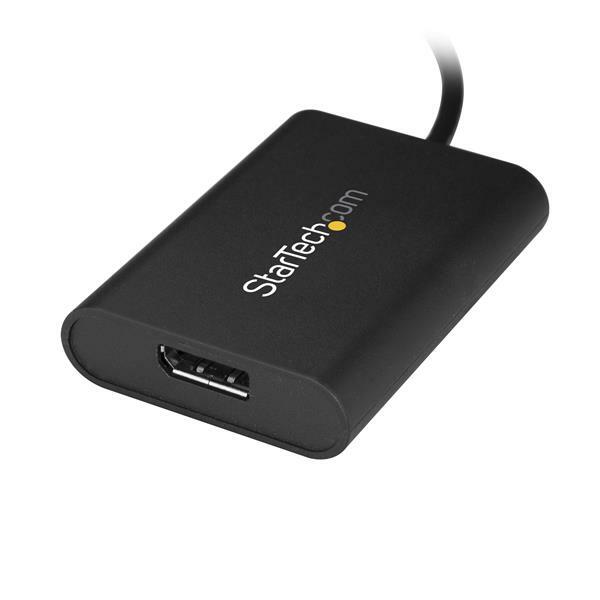 The USB32DPES2 is backed by a 2-year StarTech.com warranty and free lifetime technical support.